The most accurate Branford town map available online. 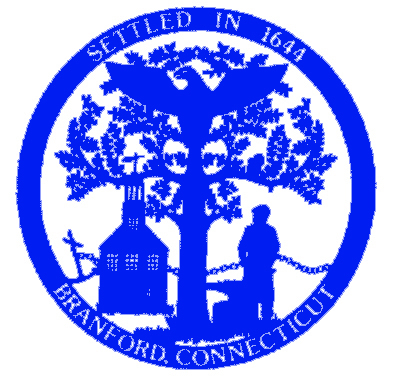 According to the United States Census Bureau, the town has a total area of 28.0 square miles (73 km2); 22.0 square miles (57 km2) are land and 6.0 square miles (16 km2) (21.5%) are water, including the Branford River, Queach Brook and the Branford Supply Ponds. There are two harbors, the more central Branford Harbor and Stony Creek Harbor on the east end, and one town beach at Branford Point. Much of the town's border with East Haven to the west is dominated by Lake Saltonstall, a reservoir owned by the South Central Connecticut Regional Water Authority, and Saltonstall Mountain, part of the Metacomet Ridge, a mountainous trap rock ridgeline that stretches from Long Island Sound to nearly the Vermont border. The southern terminus of the Metacomet Ridge, Beacon Hill, is also located in Branford. The Town of Branford includes the Thimble Islands. Neighboring towns are North Branford to the north, Guilford to the east, and East Haven to the west.